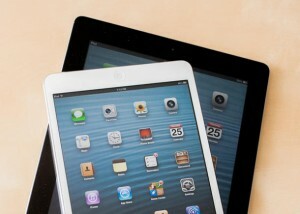 This year IPad’s Thinner than Retina iPad Mini now expected . As Apple’s plans for its “very busy fall” continue to take shape, the rumors are coming hot and heavy. The latest: a complete revamp of the iPad line by Apple in the last three months of this year. That’s according to Bloomberg, which on Monday said that Apple is working on both a new full-size iPad design that will look more like the iPad Mini, as well as an iPad Mini model with a Retina Display. That claim of a newer display for the Mini — which would presumably double the device’s resolution while remaining the same physical size in order to work with existing software — is not new. The Wall Street Journal made the same claim (subscription required) at the end of last month. It is, however, notable givensome of the back and forth between whether Apple and its suppliers can get that display ready in time this year or early next year. As for the thinner and redesigned iPad, that rumor was given an extra kick last week withan appearance of replacement parts, purportedly from that new device, including the glass touch panel. Bloomberg also points out that the hardware hasn’t been given any sort of external design revamp since the iPad 2, short of the switch to the Lightning adapter in last year’s fourth-generation model. iPad sales came in weaker than many Wall Street analysts expected in Apple’s June quarter. The company sold 14.6 million iPads instead of the more than 18 million that were expected. Apple made up for it in stronger-than-expected iPhone sales, but the iPad drop was notable. Along with the new iPad claims, Bloomberg also reiterates the September 10 date for the next iPhone’s unveiling. That was noted by AllThingsD over the weekend, followed by a reiteration by The Loop. Like last year, Apple is expected to have two separate events to split it up.